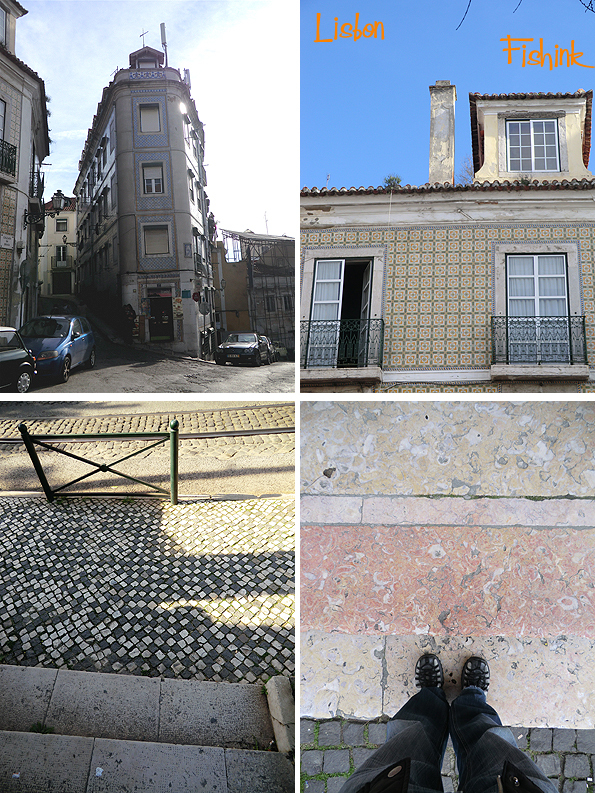 I was away last week, enjoying a sunny, well-needed out-of-season break to Lisbon. What a fabulous city! 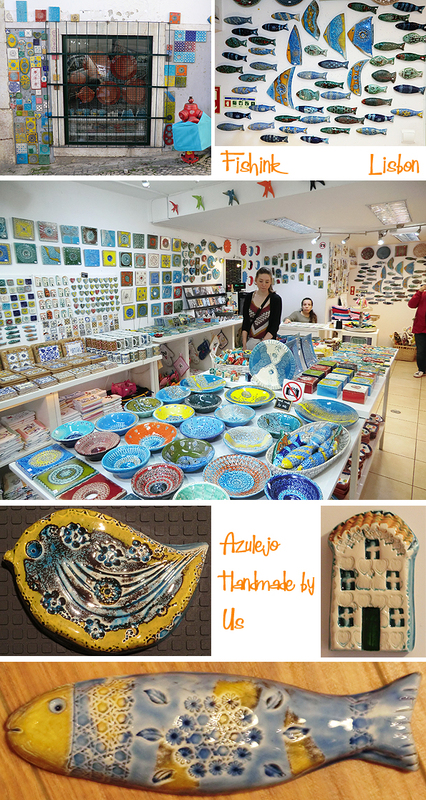 Quirky, artistic, smothered in ceramics and pattern and great little hidden gems. I’d like to share my experiences with you over the next few posts, so sit back, put your feet up and enjoy the ride : ) I’d booked a nice little Airbnb apartment in the centre of an area called Graça, here’s the place and street below, with a lemon tree in the back garden and a host of great little shops just around the corner. Everywhere you go there are tiles and ceramics on the walls. It’s literally impossible to wander anywhere and not see evidence of some fancy wall-hung decorative pottery. I also loved the old store signage, such beautiful fonts. I couldn’t get over how much decoration and texture one city could own, a delight for a textile designer and illustrator like myself. 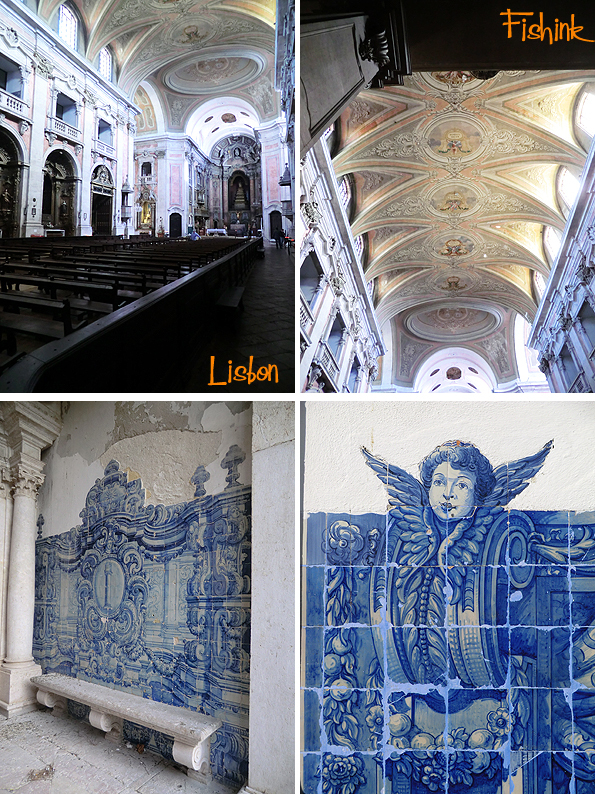 There is an 18th-century church, Igreja da Graça with a beautiful terrace overlooking the city. It’s a popular hangout for young groups, thanks to its kiosk café and fantastic views that go from the castle down to the river. 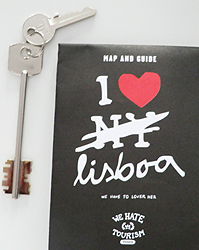 From a variety of view points you can see out over the city and onto the Tagus River (Rio Tejo). Graffiti also pops out from the city walls every now and then. Inside the church there are some quite creepy and dark stations of the cross, contrasted by ornate and decorative painting and mouldings on the ceiling and walls with unusually pink and yellow frescos. 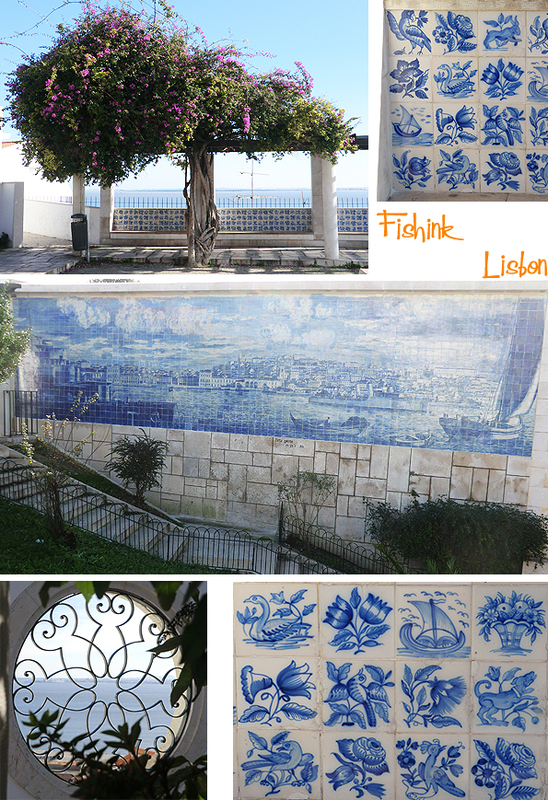 Wonderful to see such a range of designs on the tiles and a real mix of styles and periods too. 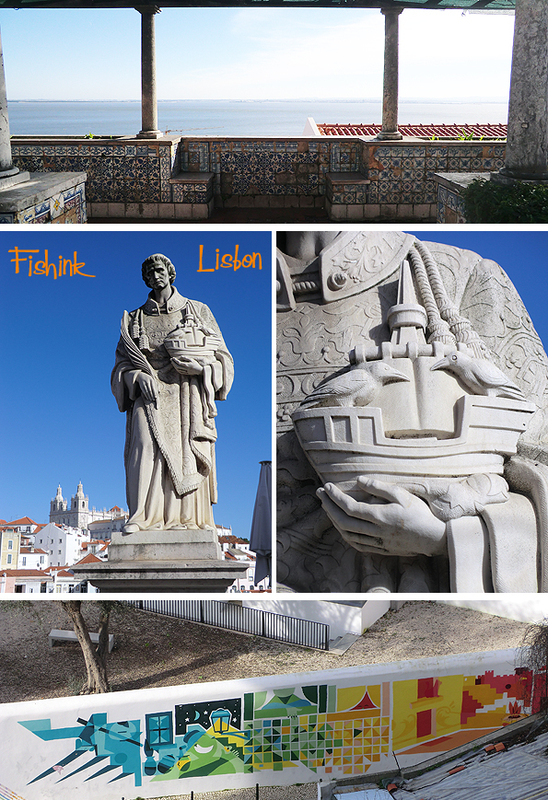 This sunny vista was just around the corner from the statue of Saint Vincent of Saragossa, Lisbon’s patron saint located at one of the most famous view of the city – Portas do Sol Belvedere. He is holding a boat with two Ravens, the symbols of Lisbon. 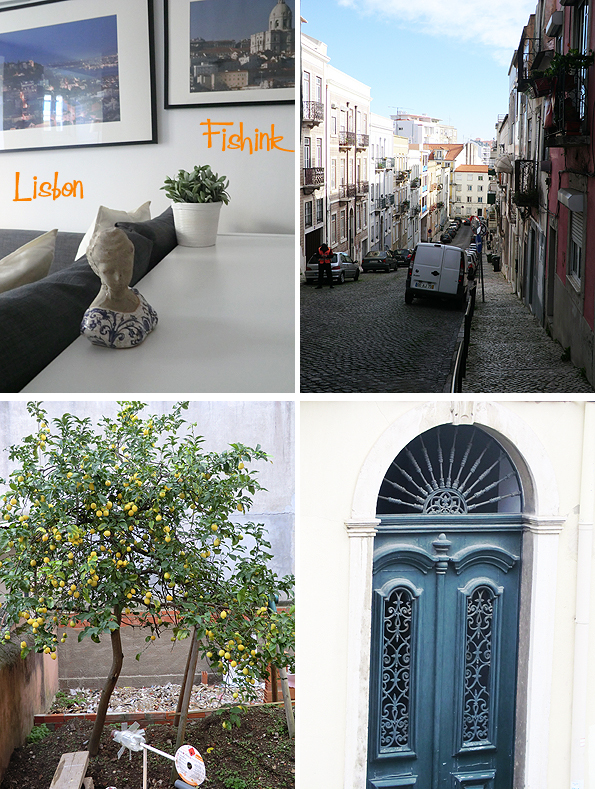 More news on Lisbon to come for the next 5 weeks. Do check back for the updates and I hope you’ve enjoyed my travels so far. Can I remind you that today is the last chance to vote for your most favourite Blogpost so please click here today. 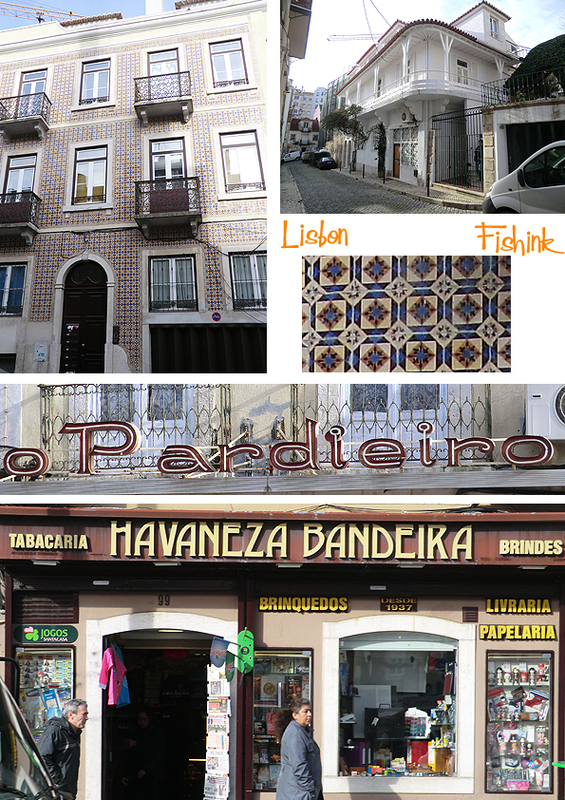 Wow, Lisbon looks fabulous!!! And so pretty!! I love the mosaic and tile work which adds such colour and delicacy to the city too. Its definitely going on my wish list, thanks for the inspiration!! No problem at all. I think you would really like it too… apart, perhaps, from all the hills!! Hills eh? 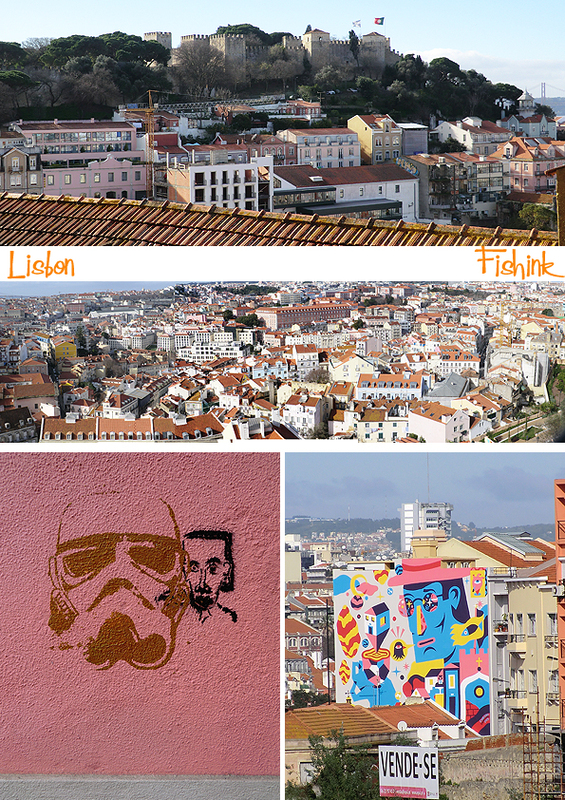 Yeah I’m not a massive fan of those, its true, but Lisbon looks worth it!! Stuck in the house with 3 feet of snow this was just the sunny pick me up I needed. Looks like a beautiful place. Love the sunshine…. looks like a great vacation. I especially like the peacock. Nice photos – remind me of when I lived in Mexico. Brought back some good ole memories! 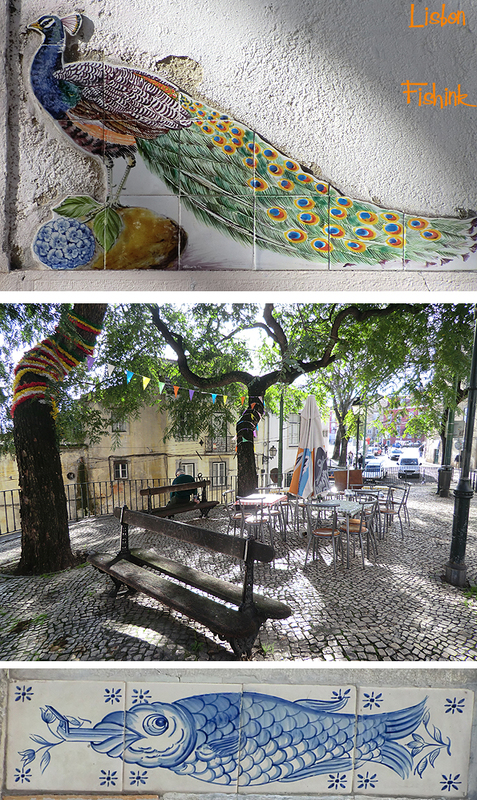 I have never been to Lisbon, but from what I see from the photos – they both have some similarities (especially the use of ceramic EVERYWHERE). Thank you for doing justice to my city. Do you mind if I share this on Facebook?